Who's ready for Spongebob Squarepants in stop-motion? 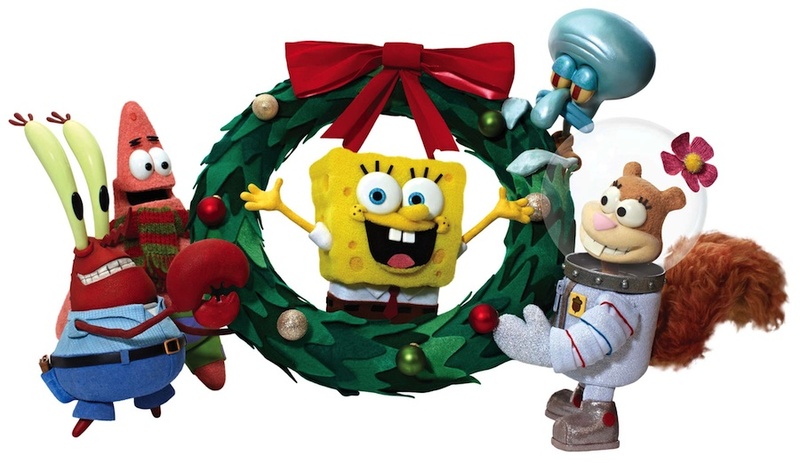 In a little over a month, CBS will air a new holiday special It's a SpongeBob Christmas, which features the beloved Nickelodeon character and his Bikini Bottom pals in a holiday-themed stop motion adventure. Check out a musical preview of the special ahead! This is the first stop-animation feature for SpongeBob SquarePants, and it's inspired by "Don't Be a Jerk, It's Christmas," a song by Tom Kenny and Andy Paley. It's a SpongeBob Christmas! will have Mr. Krabs' nemesis Plankton determined to get his Christmas wish, which is to obtain the secret formula for Krusty Krabs' Krabby Patty. His plot involves turning everyone in Bikini Bottom basd by using a special kertonium-laced fruitcake. Cursed fruitcake! Things don't seem to be so bad for SpongeBob in this video, which has him singing and decorating for Christmas. A couple years ago, a stop motion version of the SpongeBob theme song made its way online, and that was pretty great, but the clip above goes above and beyond to bring SpongeBob's world to stop motion life. Pause it around the :22 mark and you can really see the sponginess of SpongeBob. We also have to look forward to John Goodman doing the voice of Santa Claus in this special. It's a Spongebob Christmas! will air Friday, Nov. 23 (9:30 – 10:00 PM, ET/PT) on CBS. IT’S A SPONGEBOB CHRISTMAS! was created and executive produced by Stephen Hillenburg and executive produced by Paul Tibbitt, with stop-motion animation directed by Mark Caballero and Seamus Walsh and produced by Chris Finnegan of Screen Novelties. Get a look at the rest of the characters by clicking the thumbnail below!